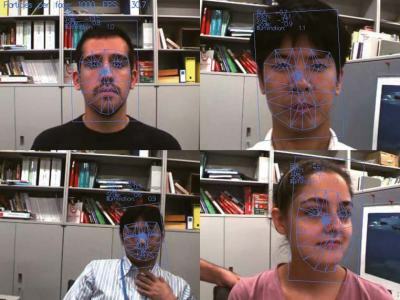 This work describes the implementation of a real-time visual tracker that targets the position and 3D pose of objects (specifically faces) in video sequences. The use of GPUs for the computation and efficient sparse-template-based particle filtering allows real-time processing even when tracking multiple faces simultaneously in high-resolution video frames. Using a GPU and the NVIDIA CUDA technology, performance improvements as large as ten times compared to a similar CPU-only tracker are achieved. – Real-time Visual Tracker by Stream Processing by Oscar Mateo Lozano, and Kazuhiro Otsuka. Journal of Signal Processing Systems. Thanks to tho for the news.